You are currently browsing the tag archive for the ‘best fishing boat in lake worth’ tag. 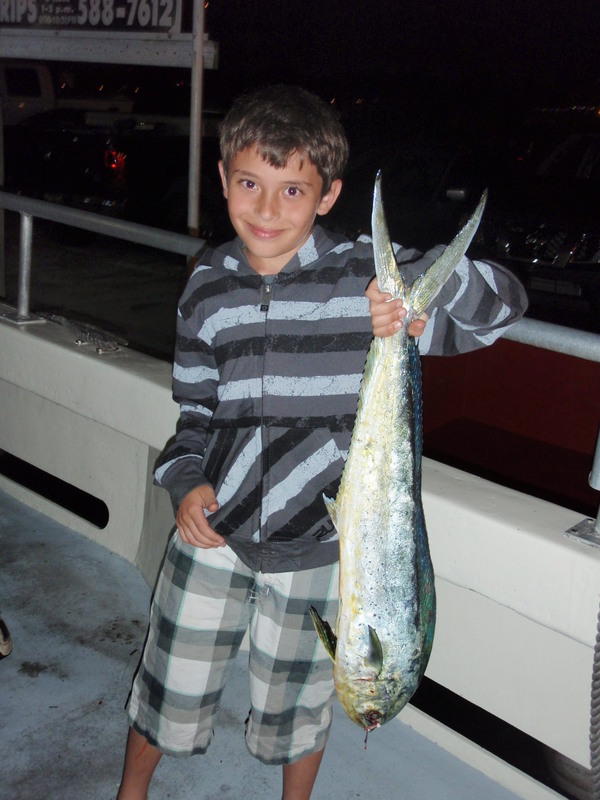 Mahi Mahi have been scattered this week and although commonly caught during the day-time trips, this junior angler proved Mahi will also bite at night. The fish ate a drifted sardine at 9:30 pm under the light of a full moon while other anglers fished for Cobia, Snapper and Bluefish. The best chances for anglers to catch Mahi during this time of year is during periods of choppy water during or after easterly winds help to blow in debris and weed-lines. 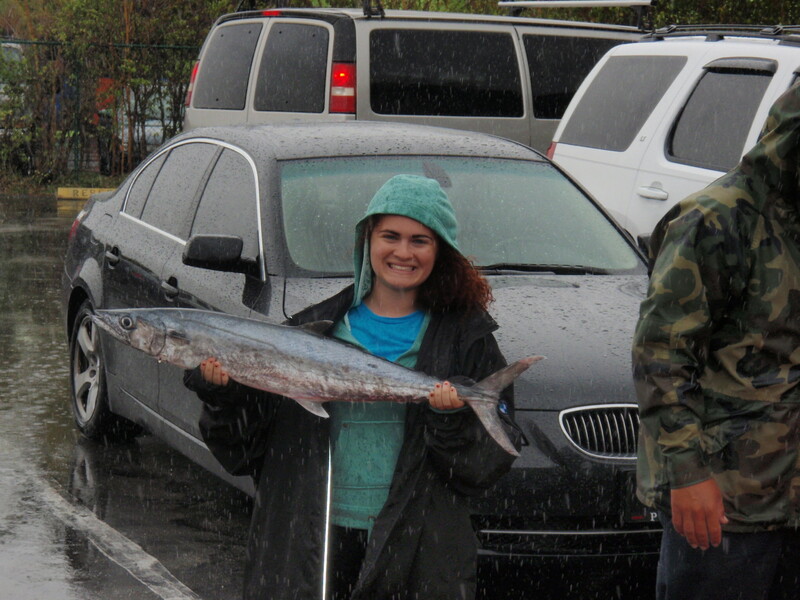 King Mackerel are still being caught throughout the Lady K’s home waters despite the weather conditions. Fish up to 30 pounds have been boated along with many releases of smaller fish. Anglers are also seeing a few Hammerhead and Bull Sharks as the large predators chase their mackerel up to the boat. Below the schools of mackerel many anglers are also catching Yellow-tail snapper, Gray Triggerfish and Jacks. The Lady K has also had a few Sailfish releases this past week by anglers who have been slowly reeling in their baits. 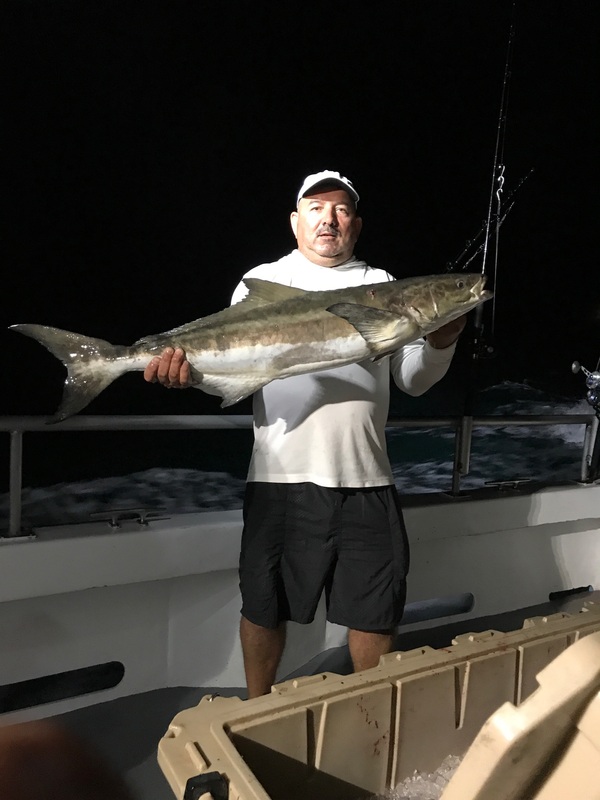 VIP angler Mark R. caught this nice Cobia while fishing during a choppy afternoon trip aboard the Lady K. The Lady K has been boating quite a few of these tasty game-fish the past week although the sharks seem to enjoy the same flavor as our anglers. 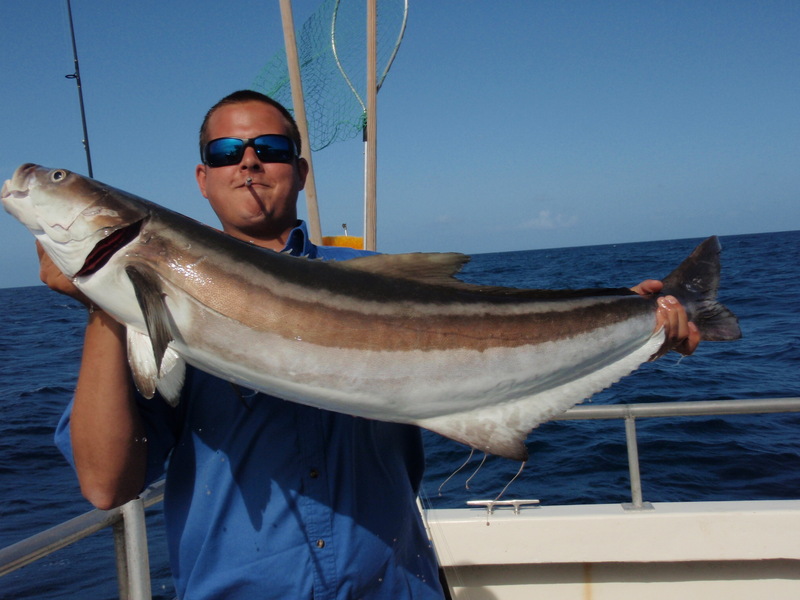 Spring is a good time to start targeting Cobia along southern Palm Beach County and the fish may be caught during any three of our daily trips. 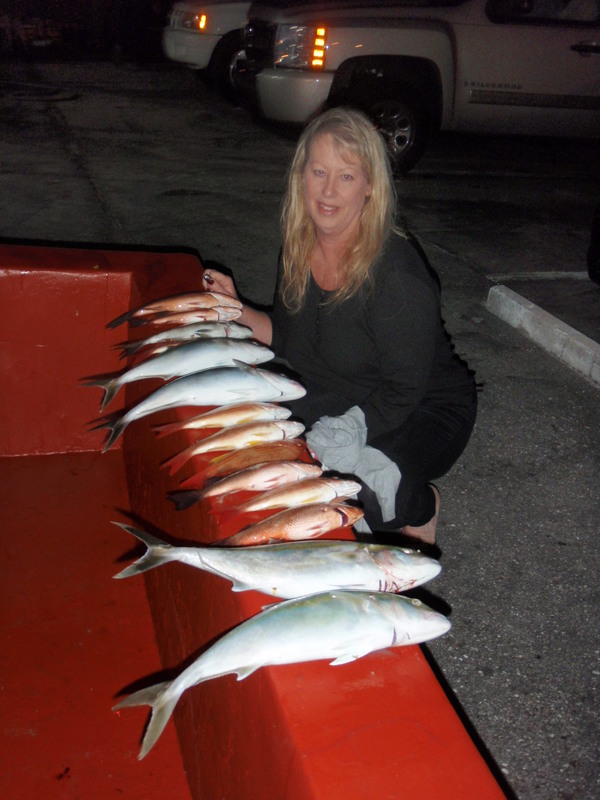 Shirlee shows off her limit of Snapper and some Banded Rudderfish after a fun night trip aboard the Lady K. She also released three Gag Grouper and a three-pound Black Sea Bass as well as plenty of smaller Jacks throughout the trip. Night fishing has been producing good catches of Bluefish, Mangrove Snapper, Lane Snapper, Gray Triggerfish, Banded Rudderfish, an occasional King Mackerel along with plenty of Grouper and Black Sea Bass releases. Spring break is just around the corner so plan on doing something a little different this year and take a relaxing four hour excursion offshore aboard the Lady K. Our experienced crews are waiting to help you with some of the best customer service in the business. Don’t know how to fish? No problem! We will teach you how to use the rods and reels and become a successful angler. You don’t have to be an angler to enjoy a relaxing half day on the water. 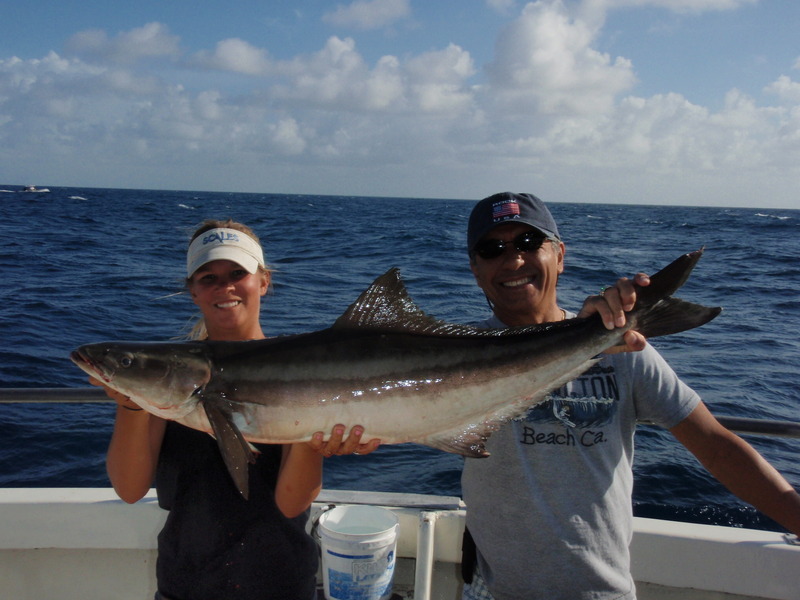 Non anglers are more than welcome to enjoy the beauty and excitement of being offshore. So plan your trip today aboard the Lady K and welcome to paradise.